BOTH GROUPS ACCEPTING NEW MEMBERS! Interview with therapist required before joining either group. Contact me today to learn more! 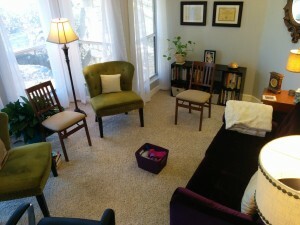 This open ended group is part educational and part therapy process. Each session you will learn effective ways to improve your picking and pulling, get to discuss with a BFRB specialist and other pickers/pullers exactly how you can use the skills best for your specific situation, get support for your setbacks and challenges, and share your successes. We also process the relationship, career, and general life stressors that frequently feed into episodes of picking or pulling. This group can help whether you are seeking help for the very first time or are already in recovery and working to prevent relapse. Meets Wednesday afternoons. Interview with therapist required before joining this group. Taking names for new TEEN group to take place Spring 2019 if enough are ready to join. Group would meet on Tuesdays or Thursdays at 3:30. Groups are open to adults who are ready to work on a Body Focused Repetitive Behaviors, such as Trichotillomania (hair pulling disorder), Skin Picking Disorder, Nail biting, or Chewing. Individual interview with group facilitator, Priscilla Elliott, required before starting. A personalized “Picking/Pulling Profile” that evaluates your picking and pulling patterns in 5 different domains that are proven avenues to improve your recovery. A chance to meet other people with challenges similar to your own. People who can truly relate and empathize with your struggles. A chance to discuss and process not only the picking and pulling but the many ways it impacts your life in sometimes unexpected ways. Improve relationship and interpersonal skills by practicing honest and compassionate communication in real time in the safe space of a therapist lead group. Time with a therapist that specializes in trichotillomania and skin picking disorder at a 3rd of the per hour cost of individual therapy. When: Wednesdays. Ongoing indefinitely on a weekly basis. Costs: $45 per session, paid monthly OR $40 per session if 10 sessions are paid in full upfront. Contact me today to reserve your seat in this group. Limited to just 8!